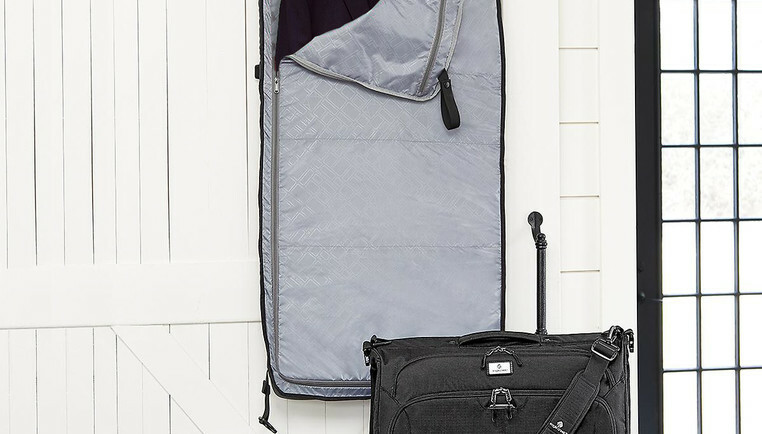 Most people don't travel with a garment bag — not even for business trips. So knowing how to pack a suit in a carry-on is an important skill. Here's how to do it so your suit won't end up looking like a wrinkled mess, while you get to skip the baggage claim. Lay suit facedown on a flat surface. Turn right shoulder inside out, then tuck left shoulder into the right. Fold in half lengthwise and then fold horizontally. Place folded jacket in the middle of outstretched pants. Fold pant bottoms over jacket and then fold the top of the pants over the jacket. Pack your suit last on top of everything else in your carry-on bag.